Giving your home a more open look and feel is easier than it might seem. 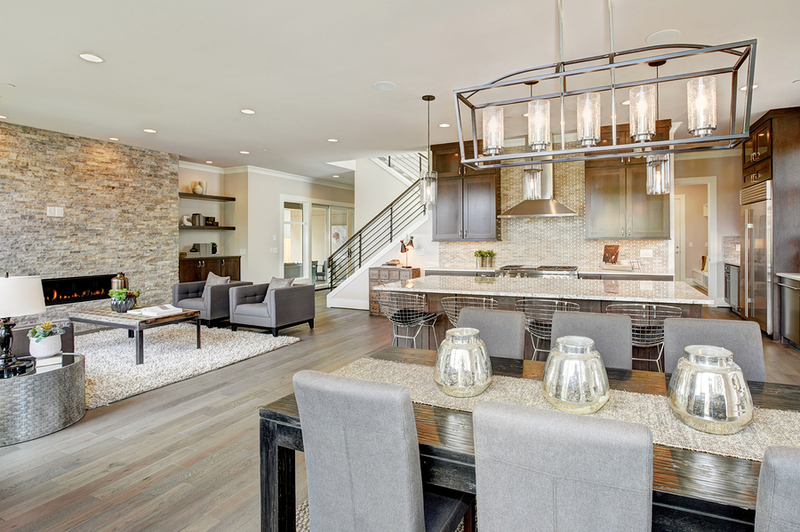 There are many ways to help your home feel more spacious. Below are some expert tips to help you create an open space the flows well. This isn't an option for everyone, especially renters, but if you own your home this could be an amazing renovation option. Open floor plans that unify the kitchen/dining room/living room are extremely popular because of just how spacious they can make a house feel. Additionally, they make it easier for families to spend more time together. Mirrors are the classic trick for adding space to a room that can't be physically expanded. They fool the eye into thinking a room is larger than it is by adding dimension. They're also excellent at catching and reflecting light, making the room feel brighter. Area rugs are a great way to section off a room while still keeping the space open. A large area rug immediately sets itself apart from other areas within the room. It creates a sense of order and deliberateness, as well as helps guide people through the room. As with area rugs, you can use furniture to segment your room in a way that doesn't feel restrictive. A large couch, for example, can very clearly delineate a den area, but being low to the ground, it doesn't interfere with the openness of the room. Dark colors don’t reflect light, but rather absorb it. This can make a room feel closed off. By using light colors instead, you create a brighter space that reflects light and feels airier and more open. By adding elements that draw the eye upward, you can make your room feel taller. Consider using high shelving, floor-to-ceiling bookcases, mounted light fixtures, or even a uniquely painted ceiling to accomplish this.